I went to visit Buca Di Beppo last month to meet sales managers, Veronica & Rose for a delicious lunch. Veronica is the sales manager out of the Carlsbad location and Rose is the sales manager out of the Mira Mesa location. First of all, this “meeting” felt like more of a get together of good friends. Veronica and Rose are fabulous ladies that made me feel right at home! We laughed the entire time and really just got to know one another. Both these ladies offer outstanding service and it’s no wonder they are so successful at what they do. 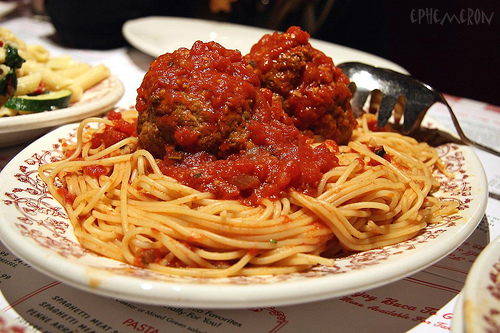 The style of Buca Di Beppo is family style so that means everyone gets to share what is placed on the table! 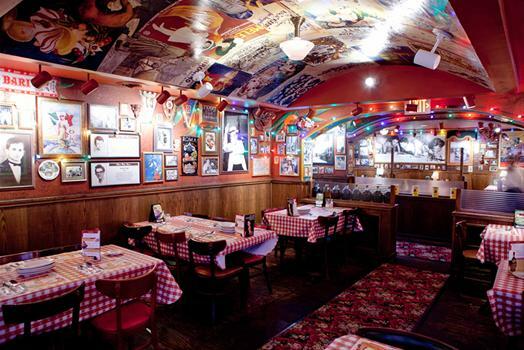 Buca Di Beppo offers so many options for events! All three restaurants in San Diego county have an abundance of space for birthdays, showers, banquets, celebrations and rehearsal dinners. Their pricing for groups is pretty awesome too. I also learned that Buca Di Beppo offers catering for all events including weddings! We reviewed the pricing options for catering and I can say, that Buca Di Beppo has some of the best prices in town for the quality of food and service they offer! I had the pleasure of ordering a salad and a vegan pizza that day. Yes, vegan! I ordered the vegetarian pizza without cheese and it was so good! The following week I was able to take a bride in for lunch at Buca Di Beppo. This bride is getting married in 2013 and happens to love Italian food! I hope we made a love connection for her. Thank you Rose and Veronica for making my visit to Buca Di Beppo a fabulous one with great laughs and outstanding food! I look forward to working with Buca Di Beppo on many future events! Are you thinking of having an outdoor wedding reception? Planning a wedding is very exciting so we’d love to offer you some tips to assist if you are considering an outdoor reception. There are very important factors to keep in mind while planning to ensure nothing is overlooked. Having an outdoor reception can save on costs and can be just as great as going with a full service venue. With the right amount of planning, it can be a success and a fun filled event! Many spots serve as great outdoor reception venues including backyards, estates, private home rentals and park like settings. I want to discuss a few key points to consider when planning an outdoor reception. Those items include rentals, service, food and beverage, and music. These are not all the items that one would need to consider when planning an outdoor reception, however they are those that are most important because of the factors involved. For all items to take into consideration, hiring a wedding coordinator is highly recommended. The first decision in wedding planning should always be the budget and the guest count. The budget will determine what amount can be allocated towards food, alcohol, rentals, décor, vendors and so forth. A wedding coordinator can offer assistance on how to allocate for each area. After deciding on a budget and guest count, meeting with several full service caterers who specialize in weddings as well as providing rentals would be priority. If a full service caterer is not hired, then reviewing all areas and logistics for the rentals with your wedding coordinator’s assistance is crucial. An experienced rental company will be able to make recommendations and provide a walk through at the home or venue to ensure there is sufficient space for the rentals as well as the activities. After reserving the rentals, a layout should be created for the ceremony and the reception items as well as noting locations of power outlets. This is important for the DJ, the bar, lighting and any other activities requiring power such as a photo booth. For events running into the evening, consider bringing in extra lighting. If there is only one restroom and over 40 guests, consider renting a portable restroom or two. There are nice portable restroom rental companies out there. These restrooms can be dolled up by placing flowers and toiletry gifts inside. An experienced wedding coordinator can offer excellent referrals on companies that offer quality, high end portable restrooms. After creating your layout, the overall design scheme should be determined. Color, decor and lighting brought in should also compliment the area and the time of day the wedding reception will be held. Natural lighting is important to consider when deciding on the linen colors and additional lighting on the tables, such as pin lights and accenting as well as sufficient lighting to see after sunset. Consider the table as a whole and not just the decor that will be placed on the table, but it’s own unique layout including linens and place settings. As you plan the wedding, the vendors that should be booked first are vendors that only work one wedding per day (such as the photographer). These key players for the wedding day should be booked as soon as you are able to. 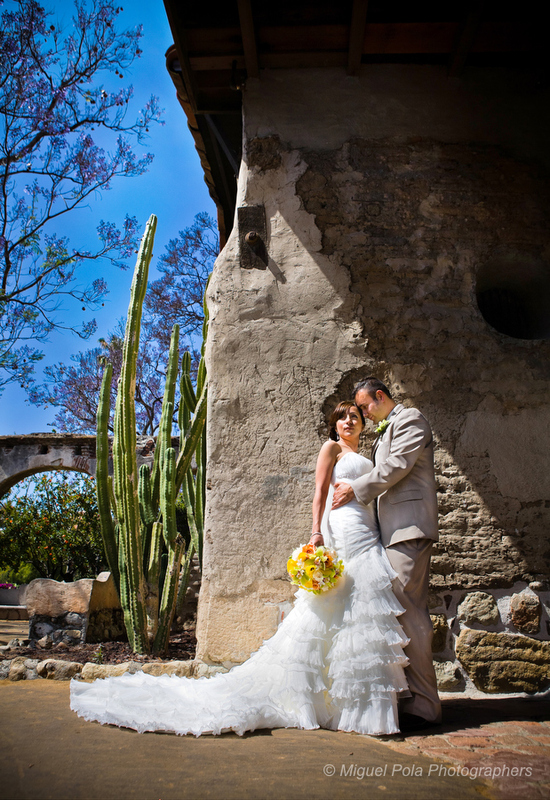 These include the photographer, DJ, videographer and any other wedding vendors who will work the entire event. The caterer or restaurant plays a big role during the wedding reception. The menu should be decided with your contact for catering. For the cocktail hour, appetizers or hors doeuvres are great to provide for the guests along with beverages as they mingle after the ceremony concludes while the bridal party and the couple take photos. The bar should have one bartender for every 40 guests plus a bar back. An experienced, licensed bartender will provide everything needed for the bar and make recommendations on the amount of beverages for the amount of guests. Many bartenders allow the client to bring in their own alcohol and will charge for hours only. If an hourly bartender is hired, it is important to make a list with the bartender on the items that need to be purchased and provided for them. Your wedding coordinator can assist with ensuring all items are covered. Another item to consider as related to alcohol is the champagne pouring. If there will be toasting to champagne, it is important to have the bartender or caterers include the pouring of the champagne into their cost. Champagne is poured about 15-30 before actual toasts depending on how many guests will be served champagne. Decide on the menu with your caterer when you have an idea of the meal or meals you would like to provide to the guests. If it is a lunch time reception, the menu for the meal will be lighter than an evening reception. If a caterer or restaurant prepares the food without providing servers, bussers or a cleanup crew, it is important to contract a staffing agency that can provide these and I would recommend 1 server for every 25 guests. Some would recommend per 40 guests, however it is better to have enough servers and service than not enough. The staffing agency should also designate one of the staff members as the banquet captain to lead the service to ensure the serving, the bussing, the trash and final clean up are smooth. Dinner ware is something to consider going disposable on if you opt not going with a full service caterer (who can provide china) because if these items are rented or purchased, the cleanup of these items is a big task. Also, in renting, if every item is not accounted for there are additional charges added onto the final bill. If a full service caterer is contracted and they include the wedding cake in their pricing, the cake cutting is something normally included. If the wedding cake is ordered separately and the caterer is not full service, then hiring servers through a staffing agency who specialize in cake cutting is extremely important. It takes an experienced person to dissemble a cake, cut it and serve it. Also remember to get cakes, forks, napkins and the cake items for the cake table. The last items I would like to discuss are the music and clean up. The DJ or band should let you know their specifications on space as well as power. The DJ should be aware of the power in the area for set up and the layout of the event. If there are activities in more than one area (for example cocktail hour in front of house and dinner in the back) then a DJ would probably want two sound systems to cover the event. Renting a dance floor for dancing is important and if it is an evening event, have sufficient lighting for your guests. Your wedding coordinator can work with the rental company on square footage and the layout. A cleanup crew at the end as well as bussers through the end is important as well. Your wedding coordinator can direct your crew as where the linens, trash, rentals, gifts, cake top and personal items go to avoid any confusion. Rentals normally will be picked up the Monday following the event. An outdoor wedding reception can save a lot of money and be such a success! As long as all areas are covered, you can be sure to have it run smoothly and having very happy wedding guests! For a free consultation, please call At Your Side Planning (formerly Ah! 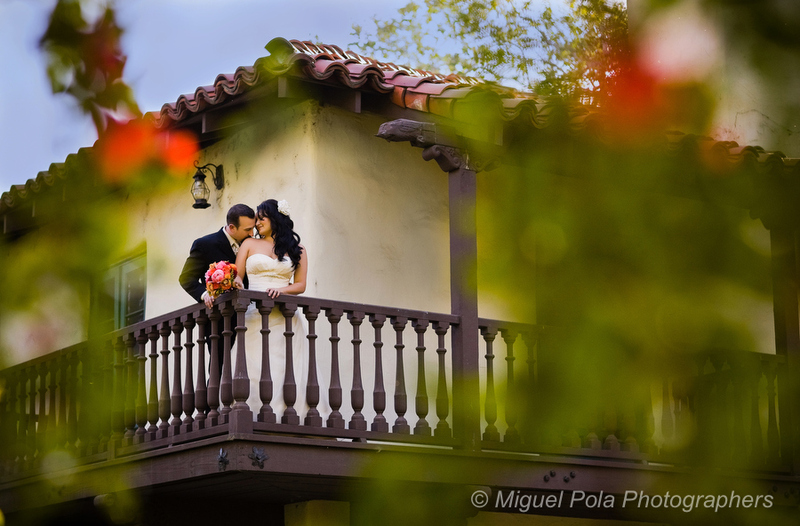 Le Party) at 619-322-7084 to discuss your special day! Diana Romero, owner of At Your Side Planning has been planning events for over ten years in San Diego, California. She founded At Your Side Planning (formerly Ah! Le Party) in 2004 and is highly experienced and professional. At Your Side Planning (formerly Ah! Le Party) recently was awarded “Best Wedding Planner” on the San Diego 10 News A list. At Your Side Planning (formerly Ah! Le Party) is a member of the Professional Women’s Organization as well as Small Business certified through the state of California.